Carafina combines beautiful glass with natural stone dating back billions of years. 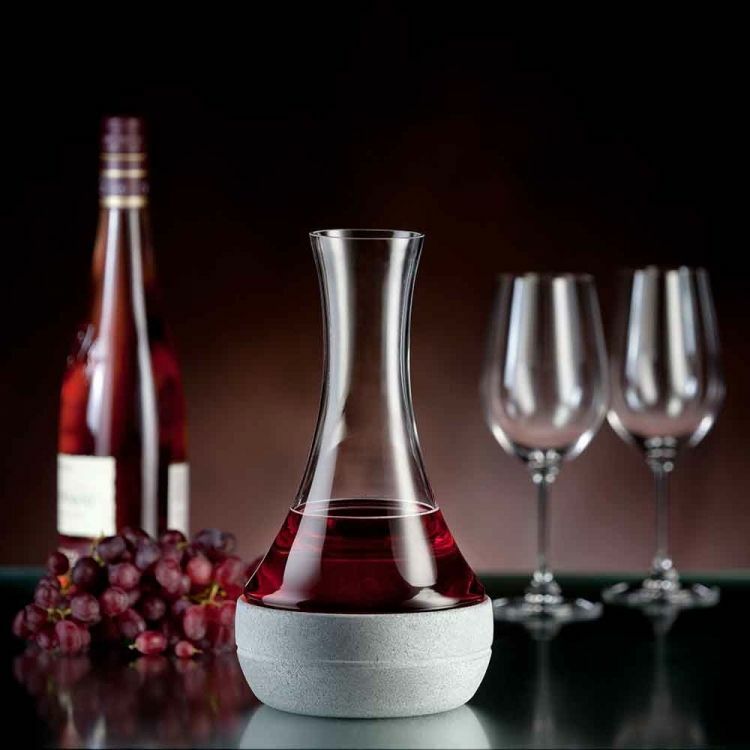 It keeps your drinks cool for long periods of time and cools your red wine down to the perfect temperature. 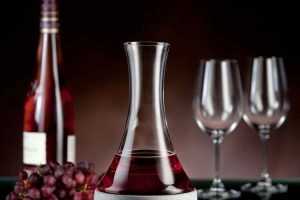 To cool red wine to the proper temperature: put the stone base when cold on the table, pour room-temperature wine (22-24°C) into the decanter and place the decanter on the stone base. In about 15-20 minutes the red wine will have cooled to approximately 18°C (ideal for Bordeaux e.g.) and is ready to be served. 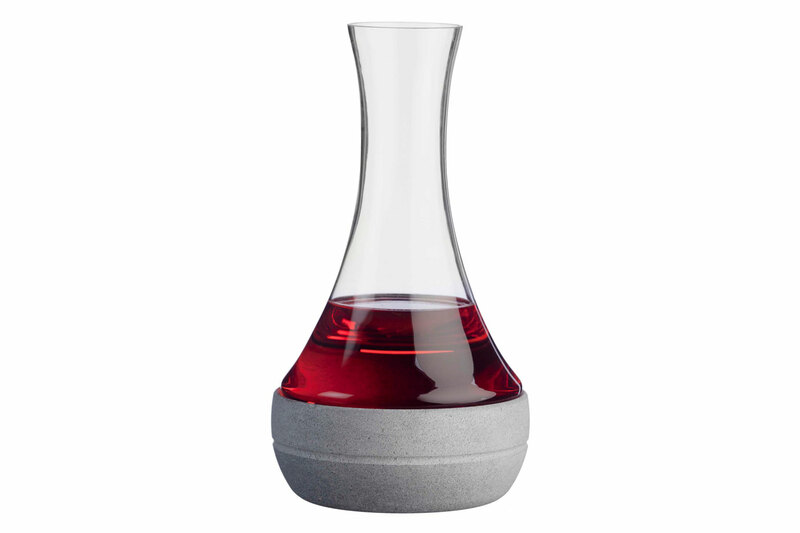 After use, hand-wash the glass decanter with care. The stone base can be washed when necessary, either by hand or in a dishwasher.